The "Perfect Shake" is a product that we have developed in partnership with a one of the highest quality mills that meets the needs of builders who desire a real cedar shake for roofing, that exhibits the rough "hand-split" surface, however, it presents a cleaner, more uniform look. Not just a great look for "Shingle Style" architecture, natural wood real cedar shingles work well in many contemporary projects. 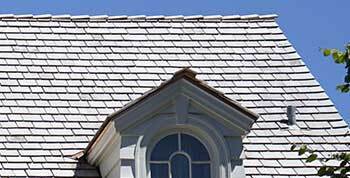 Shingles are also manufactured in ornate styles to offer a special look. Yellow Cedar is the hardest known cedar in the world. Prized by boat builders, it has exceptional resistance to weather and insects as well as easy workability. First used by the West Coast Indians for their historic Totem Poles and great war canoes, it is a rare and often difficult to find lumber species. Its durability and ease of tooling makes it readily adaptable for the construction and finishing of homes, schools, factories, churches, recreational centers and a variety of commercial and industrial uses. Materials like cedar tapersawn shakes provide a timeless appeal that is similar and complementary to cedar siding shingles. Cedar shakes also offer excellent outdoor protection and insulating characteristics. Turn your home into a work of art. Hand-split cedar shakes create the unique old-world look. Hand-split cedar shakes have at least one split face for a naturally rustic, random width appearance. The other side is re-sawn to offer a precise surface for layering and contact with the roof underlayment. 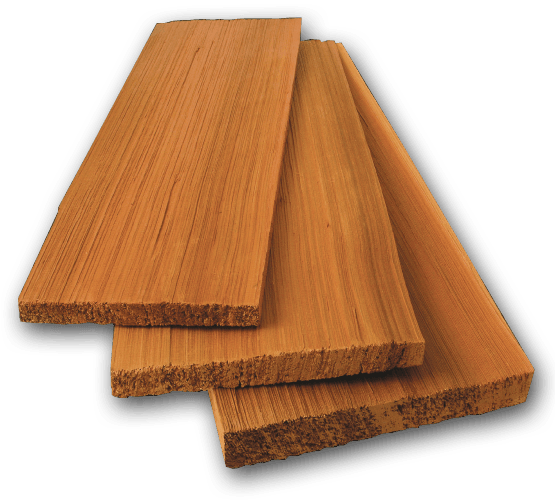 Get the highest quality Alaskan Yellow Cedar Shingles delivered to your job. Learn more about the "Perfect Shake" our exclusive product that will look better, perform better, and install more quickly than traditional hand-split shakes. Western Red Cedar Tapersawn Shakes are sawn on both sides giving it a look similar to a sawn shingle but with a thicker appearance. We help create the most beautiful roofs in the world. Cedar roofs are more beautiful, longer-lasting, and provide better energy-efficient insulating properties than any other roofing solution. 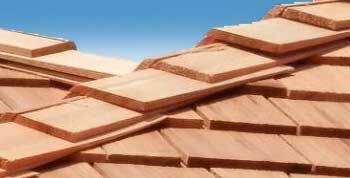 We are located in the Pacific Northwest and offer a huge selection of cedar shakes and shingles for roofing, siding, and much more. We source our finished products directly from mills located British Columbia, Washington and Oregon. With over 30 years experience in the business, we at Cedar Roofing Supply know how to deliver on quality and customer service. We work directly with mills to ensure that all our products are the highest quality and meet the specifications our customers demand. This means we can offer many different grades and prices, custom sizes, exclusive products, and much more. “Not only is the production and processing of wood highly energy efficient, giving wood products an ultra-low carbon footprint, but wood can often be used to substitute for materials like steel, aluminum, concrete or plastics, which require large amounts of energy to produce. Certi-label cedar shakes and shingles are the environmentally responsible choice: renewable, recyclable and sustainable for future generations. We offer the highest quality products in the industry. With over 30 years in the industry, we pride ourselves on our delivering the highest quality cedar products. We maintain mill direct relationships so we can offer custom sizes and solutions to meet the demands of custom homes and specialized projects. Because of our close and long term relationship with mills, we have developed products that no else can; such as the Perfect Shake. Cedar Shakes are provide far more energy-efficient insulating properties than most synthetic roofing materials. We always go with Cedar Roofing Supply for our cedar shakes because the quality is always consistent and they make it easy to get the materials to the job. You guys know your stuff! Thanks for helping us through that huge custom roof. It was so easy to work with your Perfect shake to get that job done! We've been doing cedar roofing for over 30 years and we've seen a big trend toward less quality and inconsistent bundles from other suppliers that cost less. We've learned that nowadays you have to pay a little more to make sure you get high quality materials. Thanks you guys!!! S Spring, Palouse Builders Inc.
We provide delivered prices and FOB loaded containers to docks. We can also air freight loads anywhere.